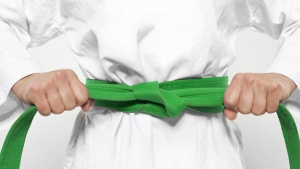 Green Belt Practitioner training is for Yellow Belts who are looking to lead or co-lead a continuous improvement initiative and therefore, require more ‘depth and texture’ in terms of the DMAIC process roadmap and tools used. Understanding in the value of and ability to apply Lean Design and Construction principles to projects and to the overall business organisation, structure and culture. Engage project teams in achieving 1% Kaizen type improvements every day on the projects and across the programme, especially around cost savings/value enhancements. Empower and equip team members to develop Yellow and Green Belt level improvement initiatives on their design and construction projects. Ability to apply Last Planner and other LC tools on the projects at design and construction stages. The assignment builds throughout the module and includes leading/co-leading a real, live LC initiative on your construction project (or in your business). Your assignment will result in, tangible value improvements or savings, typically in the region of $50k. The training includes a pre-reading list and handouts of all the slides used, plus certification. **Candidates will receive a LC-GB Practitioner certificate for attending the three days and demonstrating evidence in their assignment that they have co-led or led a project to completion and are proficient in the tools they have used.